At Plumber Blackrock we provide a fast, professional and efficient range of plumbing services in Blackrock and the whole of County Dublin. 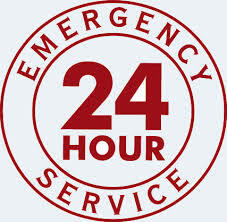 Our team are on call 24/7-365 days a year to cover any plumbing emergency you may have. We always GUARANTEE a 60 minute call out response time. Plumber Blackrock provide a full range of services. We don’t just cover emergencies, we offer a full range of services. We are happy to offer free no-obligation advice to everyone. Having been established for in excess of 25 years now and having some plumbing experts with over 30 years experience in the private and commercial plumbing industry we can always help you. All of our work carries the plumbers Blackrock guarantee. We are fully insured with public and professional indemnity insurance to the value of €13.5 million. our staff are honest, hard working and 100% focused on providing friendly service to our clientele at all times. At plumber Blackrock we are delighted to offer the following services. • Sink, toilet and drain unblocking. • repair of replacement of toilets, bidets, sinks, taps, baths wet rooms and showers. • R.G.I. registered boiler servicing. • Power flushing of central heating systems. Upfront Pricing by you local team of Blackrock plumbers. We provide the complete service, extremely competitive pricing; free call out with a professional no obligation quote. We pride ourselves on our customer service, with no hidden fees or charges, we do not charge traveling time or parking fees. Our vans are always fully stocked so as there is never a need to be “sourcing parts”. We make sure the customer knows the price before we start. This means there is no shock when the bill arrives on completion. Your local Blackrock plumbers only ever require payment when the job is completed to the satisfaction of the client. If you need a plumber in Blackrock. Call us today on 01-2844921, one of our senior Blackrock plumbers would be delighted to offer you any advice you may require.